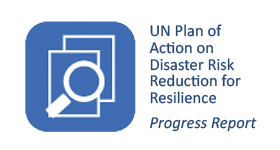 Organizations working to build resilience are submitting voluntary commitments in support of the Sendai Framework, the global roadmap for reducing disaster losses by 2030. If your organization is working on Disaster Risk Reduction (DRR), make a voluntary commitment to show case your efforts and highlight your achievements. The United Nations Office for Disaster Risk Reduction (UNISDR) opened the “UNISDR Office in Japan” in October 2007, in Kobe, Hyogo. 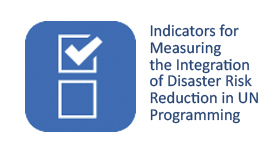 The UNISDR Office in Japan engages in the following tasks and activities to support international efforts for disaster risk reduction (DRR) and the implementation of the Sendai Framework for Disaster Risk Reduction. The UNISDR Office in Japan works with many partners for the implementation of the Sendai Framework, contributing to the Global Goals. 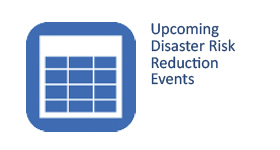 Disaster risk reduction events in the Asia-Pacific region, including events in Japan. UNISDR news from the Asia-Pacific region (including the UNISDR Office in Japan). 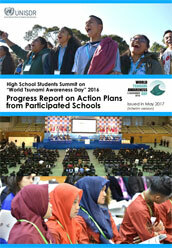 UNISDR publications from the Asia-Pacific region (including ones published by the UNISDR Office in Japan).